More and more people are opting for a vegan diet. In addition to it being animal-friendly, this lifestyle has much to offer your health. Eliminating animal-based foods from your diet can increase your energy levels and delay the look of ageing. Plant–based diets also decrease your risk of developing obesity, heart disease, diabetes, cancer and other health issues. This vegan recipe contains ingredients that are amazing for your health, and is delicious! Avocados are a rich source of fiber, vital for healthy bowel movements and are packed with all the right nutrients that are essential for maintaining healthy bones. Coconut milk is a vegan alternative to cow’s milk. Not only is it a solution to your vegan diet, it is a solution to obesity. Consuming healthy fats, such as the fat found in coconut milk can curb your appetite and lead to weight loss. Moreover, coconut milk contains lauric and capric acid. These saturated fatty acids have antibacterial, antifungal and antiviral properties. They are known to destroy the bacteria that causes plaque formation in your arteries, which can lead to heart disease. Cacao comes from cacao beans and is processed to form the basis of chocolate. It is rich in antioxidants and extremely beneficial to your health. The antioxidants found in cacao work to destroy free radicals that injure your cells and damage your body. When these free radicals build up, they can accelerate premature aging, cause heart disease, and increase your risk of developing cancer. In addition, antioxidants have anti-inflammatory properties and can prevent blood clots. This recipe is from thequirkyprincess.com and is republished here with permission. In a bain-marie, set the chocolate to melt. 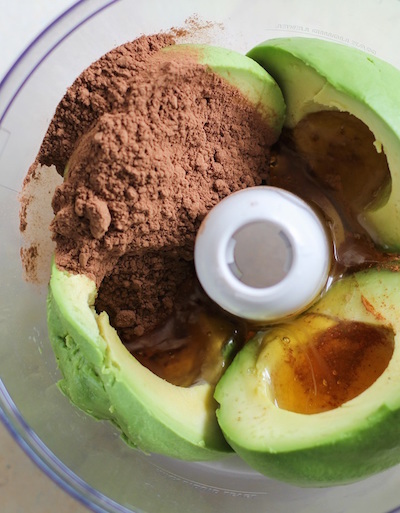 In a blender, add the avocado meat, coconut milk, cacao, sweetener and vanilla essence. Blend together until really smooth. 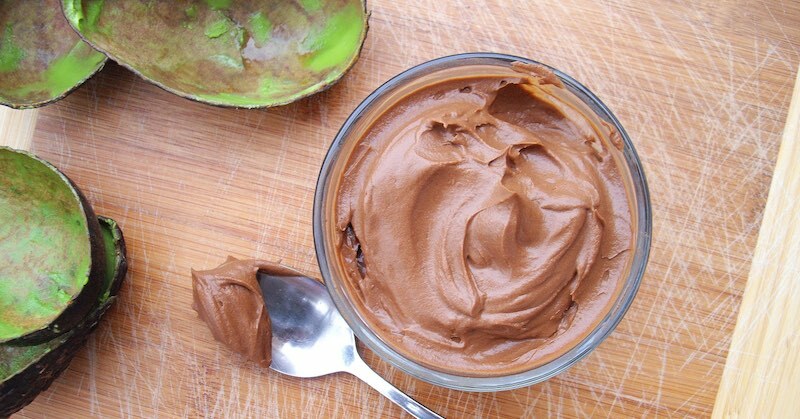 Once the chocolate has melted, stir in the avocado mixture and beat them together well. Spoon into tall shot glasses with a teaspoon and put in the fridge for at least two hours. (Optional) Sprinkle some grated chocolate on the mousse and serve with strawberries on the side.